Arrange colorful gifts to fill up the train and reveal festive photos. "The holidays are filled with so much stress, and a great way to get some relief is to play Holiday Express. With its relaxing sounds, beautiful scenery and bright colors, this game is a win! I love how each level gets a little more challenging which prevents boredom. I also love how it lets my mind escape from the rush of daily and holiday duties. Just sit back, load the train and get lost in relaxation!" Celebrate the holidays by delivering colorful presents on the Holiday Express. Arrange the gifts filtering down the conveyor belt to fill up the train and reveal festive photos. You’ll also enjoy falling snow, bonus rounds and jolly music in this great holiday-themed puzzler. There are two play modes to enjoy, and new photos are downloaded automatically so you’ll have plenty of fun for the holidays. Plus, you can even add your favorite photos right into the game. I played this title on casual mode to get a feel for it and really loved it. Some of the backgrounds were a little dark, but as you built up the picture they soon made sense. Fun music, fun game. I love Christmas! Holiday Express reminds me of all the great things included in that holiday. You have to load presents onto the trains, with very festive and beautiful Christmas pictures. I love this beautiful, fun game! Holiday Express is perfect! My only complaint is that I wish there were more games like it. 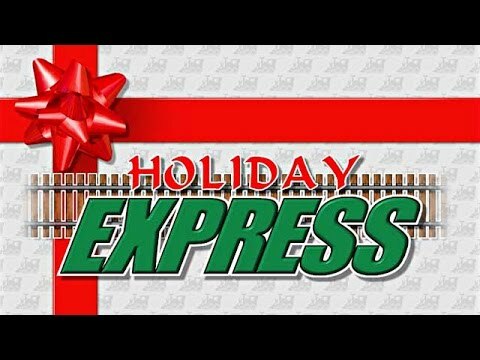 Holiday Express is easy to learn and fun to play. It requires timing and skill. It is great exercise for my mind and I enjoy every minute of it. This is one of the most fun games, and it reminds me of the Nintendo game Tetris. Would recommend to family and friends. I am really pleased with the game and the series. Holiday, Ocean and Puzzle Express are the best games I've ever played. I got this game and love it because I can load any pictures I like in it.